xo ♥ amela: Homemade Tzatziki Sauce! 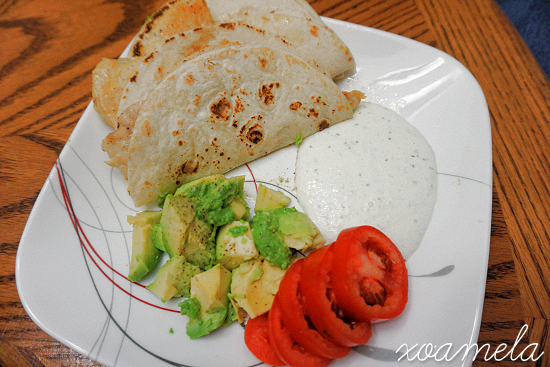 I was really in the mood for some chicken tacos and was really craving Tzatziki sauce so I thought, why not make both? One fun fact that I learned was that the Greek yogurt, Chobani, was not actually made in Greece, but actually in Turkey! The more you know. I scoured the internet looking for a great Tzatziki recipe and I found a couple but tweaked it a little. 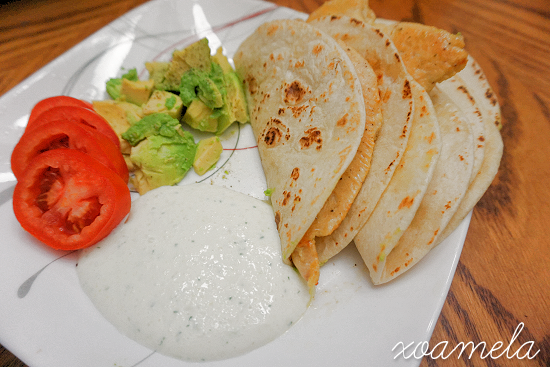 I had made Tzatziki sauce before but it ended up really thin and was more runny, than a dip. The recipe is down below. Enjoy! Let me know if you end up making it! 1. Cut up the English cucumber into cubes and put into a strainer. Sprinkle some salt and cover with a few paper towels and put something heavy on top. Cucumber has A LOT of water so it will make your sauce either thin or thick; This will prevent it from being thin. Leave it in the strainer for an hour while all the water is being drained out. I left mine in the sink and put new paper towels after 30 mins. 2. Once that is complete (I was cooking my chicken while I waited) I put that into my ninja processor along with the dill, garlic, lemon juice, and salt. Blend that really well. 3. Once that is really well blended, add in the Greek yogurt and let it blend of a few minutes. I wasn't timing mine but if I had to eyeball it, I would say about 5 minutes. 4. Add some more salt and pepper to your liking and continue to blend. 5. Refrigerate for a couple hours and enjoy! You can pretty much eat it with anything as I use this dip for anything I find the craving for!